All puppets in the Etsy store are on sale for the entire month of March. $10.00 off every puppet. Now’s the time to get your birthday and holiday puppets! Use the code MarchMad2017 when purchasing for your discount. The elwen have been planning their gardens for the coming spring. I know several of them have been having dreams of gardens filled with flowers and veggies. It’s just around the corner. Can’t wait! Who are the elwen? 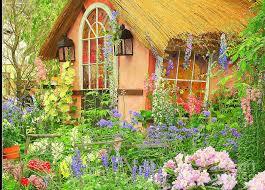 They are the elves, fairies, gnomes and other little people that live in gardens and forests all over the world. These puppets are just as magical as the real thing. When children and adults begin to play with them, all sorts of wonderful stories begin to take form. Folktales spring from your own creativity. Expect laughter and in-sights as you or your children perform original skits. These are the toys that build memories for many generations. To purchase online, just click on the 'Etsy Shop' tab and see what is available. Puppets can also be made to order. Come to the Cooperstown Farmer's Market each Saturday from May to December 24th. Or you can call 607-422-0303 to make an appointment to visit the workshop or email me at mappyoakley@hotmail.com. Handcrafted Rod Puppets and other toys for children of all ages. SALE! James and the Giant Peach puppet set of 5 – 20% off. March 22 – 25 only! !